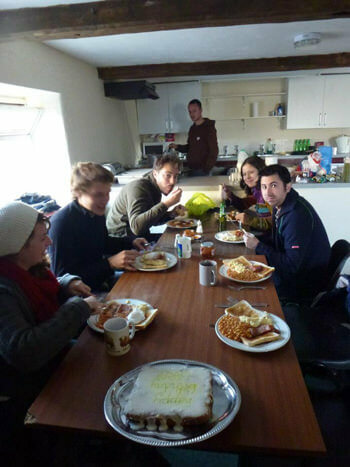 I stayed at The Stables Bunkbarn in the Peak District in October 2012 with 8 friends, hoping for the perfect birthday gift; a day walking in Edale with stunning views and a pub at the end. We were lucky enough to have the place to ourselves and I couldn’t have wished for a better venue. We arrived on a dark and soggy Friday night so the large radiators and hot showers were very welcome, and the kitchen facilities enabled us to have a full cooked breakfast each day; the owner was even kind enough to put some fresh eggs and milk on the bill at my request and have them waiting for us when we arrived! The first day we walked the beginning of the Pennine Way, which happily – as no one had a car – started about ten minutes from the barn door. We wound our way up the gentle hills, over picturesque bridges and though farms (the city kids among us were excited to see chickens on the paths!) 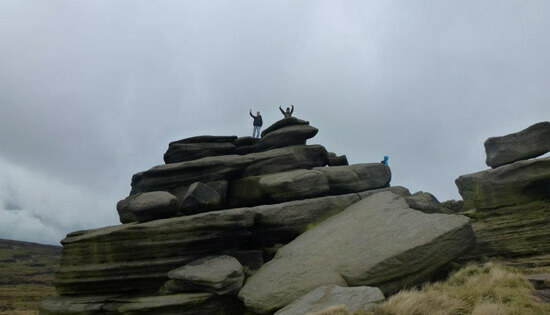 right up to Kinder Scout, where the scenery didn’t disappoint. 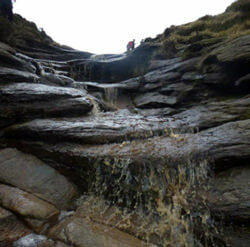 The route led back to Edale again, covering about 12 miles, an ideal day walking in Edale. However, I’d done some pub research and liked the look of The Peaks Inn three miles over the hill in Castleton; we trekked on, and the home cooked, locally sourced food and great service were worth the extra effort. We even passed a farm shop and picked up some duck eggs for breakfast. The second day we got up early to watch the sun rise, and found that going left out of The Stables, and immediately left again, you arrive at a path leading up the hill to a perfect viewing spot; it was an hour’s round journey and the highlight of the trip. 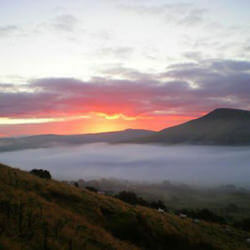 After devouring the duck eggs we walked from the barn up to Mam Tor and back, a shorter, more leisurely walk, but also very beautiful.